President-elect Donald Trump’s victory over Democrat Hillary Clinton was the result of a number of actions that the news media chose to ignore, but the American people still discovered. 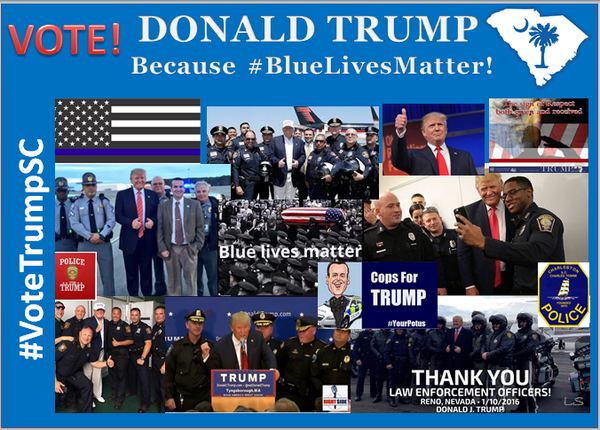 For example, an overwhelming number of law enforcement fraternal and labor organizations broke ranks from the rest of the unions to endorse candidate Trump. That included the federal officers with the U.S. Border Patrol, the Immigration and Customs Enforcement agents, and the nation’s largest police union representing local and state police, the Fraternal Order of Police with more than 300,000 members and affiliates. Last year, President Barack Obama pushed his administration to implement his executive order to take away certain weapons and equipment away from local police and sheriff departments throughout the nation in reaction to police anti-riot tactics in which they utilized military-style vehicles and weapons. “The do-gooders were more concerned about the [safety of] rioters and looters than about the officers who had to face them and worry about how they used their weapons and equipment,” said former police officer and attorney Joseph Fitzgerald. “In fact, Obama and his Attorney General at the time [Eric Holder] took action even before the investigation that followed the shooting of a black man by a white officer was completed. 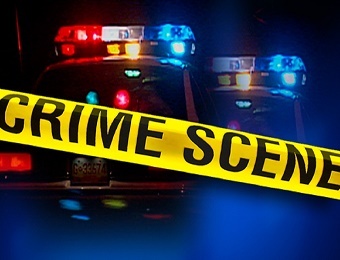 By the way, the verdict in that case was that the officer was correct in his use of deadly force against a 6’8″ 300 lbs. assailant,” explained Fitzgerald. Progressives in the Democratic Party and their fellow travelers — Rev. Al Sharpton, Rev. Jesse Jackson, Eric Holder, the NAACP and others — were angry over the so-called “1033 program,” which the Defense Department initiated during the Clinton administration in 1997. The program allows the Department of Defense to send military surplus equipment such as armored tracked vehicles, camouflage uniforms and weapons to local law enforcement agencies at no cost to the departments or to the taxpayers. The program saved money and also gave agencies the ability to deal with criminals and terrorists who use advanced weaponry especially IEDs (improvised explosive devices) and WMD (weapons of mass destruction) such as chemical, radioactive and biological weapons. 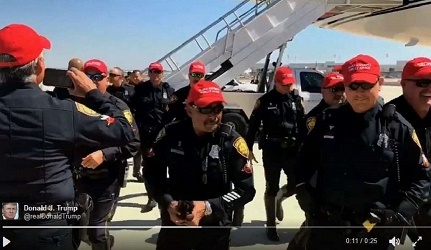 Police officers proudly wear Trump baseball caps after they endorsed him. The list of banned items includes armored tracked vehicles, weaponized man or unmanned aircraft and vehicles, .50-caliber rifles and ammo, and camouflage equipment. 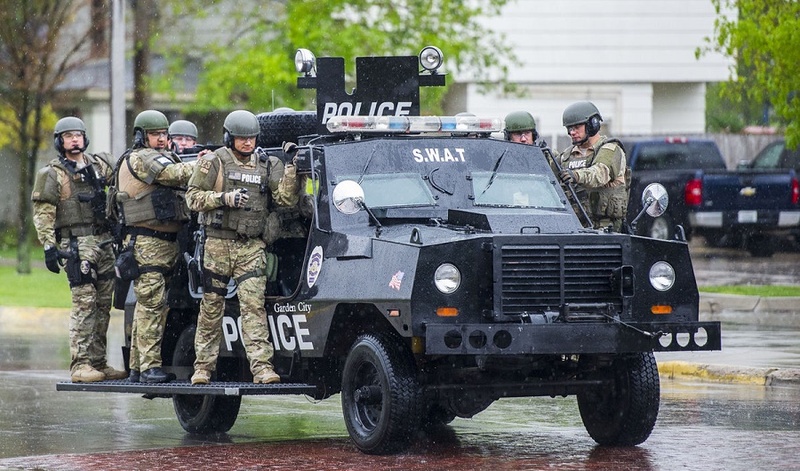 Most of the equipment –except for items such as the Barrett .50 caliber sniper rifles — is meant to protect responding officers and first-responders. Sheriffs — who are elected by voters as opposed to police chiefs who are appointed and controlled by politicians — using the equipment are visibly outraged, saying that the main complaints were against the armored tracked vehicles which have saved lives in crisis situations, and double as rescue vehicles. For example, the New York City Police Department uses armored military vehicles — which they call bearcats — for responding to suspected chemical, radiological and biological weapons. The Obama administration hasn’t banned departments from using such equipment; it only prohibits those distributed by the Pentagon as part of the 1033 program. But many of the agencies got their vehicles free-of-charge and cannot afford to pay for replacements, which will reduce the safety of police officers and deputies. “I hope that when President Trump takes over as Commander in Chief, he will take Obama’s executive order against cops and tear it up during a ceremony with police officers in attendance,” said former police officer Iris Aquino, one of the Latino-Americans who admits she voted for Trump.